Are employers allowed to make an employee disclose their medications? Or as an employee, do I have to disclose my medications if my employer requests it? This is one of the most common questions or hesitations that we get from both employers and employees about drug testing. Both sides of the issue are a little bit tricky, but the short answer is yes. 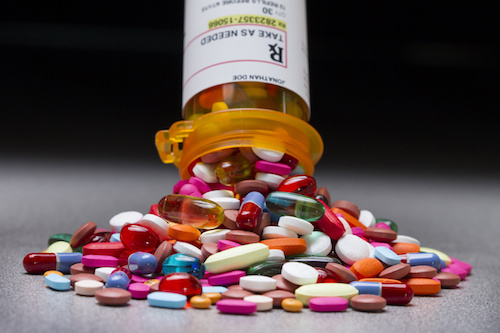 Yes, an employer can require prescription medication disclosure, and, yes, employees must disclose medication if requested to do so by the employer. However, an employer can’t just require employees to disclose their prescriptions without having good reason to. When is it appropriate to have a prescription medication disclosure in your workplace drug testing policy? Unfortunately, there is no specific hard and fast rule for being allowed to mandate disclosure of prescription medications. The issue of privacy is very important in regards to protecting an employee’s rights. However, the issues of safety and liability beat out privacy in the case of safety-sensitive work. If there is a chance that the employee or others could be harmed due to impairment from a prescription drug, then employers are able to require prescription medication disclosure. As a general rule, employers must be able to prove that their request is job-related and consistent with business necessity. The employee is engaged in safety sensitive duties. If you have questions about getting started with drug testing for your own organization, please give us a call at 844-515-5075 or email us at drugtesting@totalreporting.com. We’re more than happy to help!